There is nothing more satisfying than a workout that has been performed to perfection. With the TrainingPeaks and Garmin integrations you can easily build structured workouts and upload to your device in minutes. 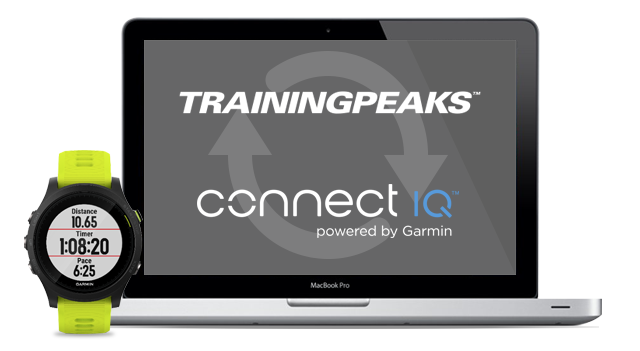 We’ve made it easy to automatically get completed workouts from your Garmin Connect account to TrainingPeaks. 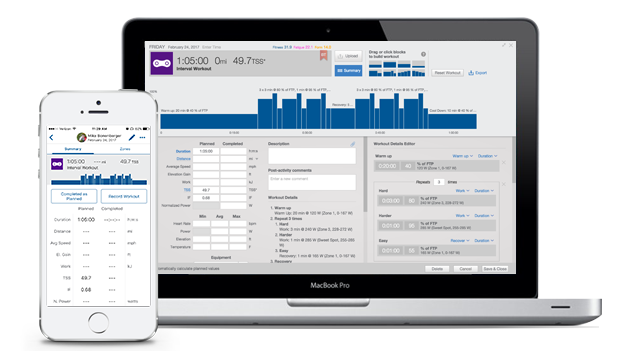 After a one time link of your accounts, your workout data will instantly upload to your TrainingPeaks calendar. 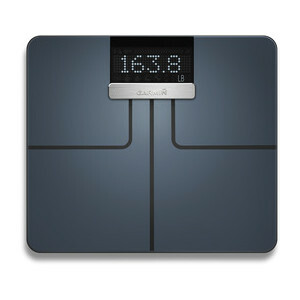 Automatically sync health data from the Garmin Index™ Smart Scale to your TrainingPeaks account. After a one time setup, your body composition data including body weight, percent body fat, muscle mass, water percentage, and body mass index (BMI) will instantly upload to your TrainingPeaks calendar. Get your daily TrainingPeaks workouts right on your compatible Garmin device and let it guide you through your workout in real time. Download the TrainingPeaks Garmin IQ App, build a structured workout or apply a training plan from the list below. Then, complete your daily workouts through your Garmin device.